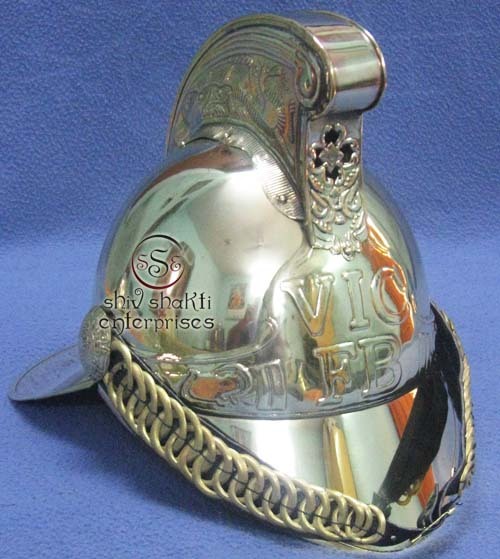 ﻿NSW Fireman Helmet With Strap. 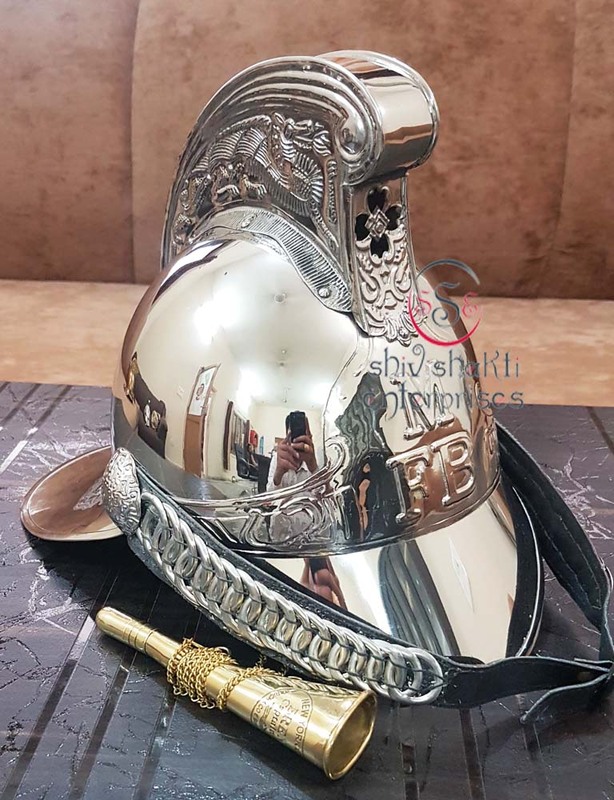 Elegant firman helmet. Helmet has NSW Embossed in front with top gear. Comes with adjustable strap. ﻿Handmade with the inscriptions and complete with a leather strap and leather lining inside. ﻿We use high quality raw materials such as 18g mild steel. We make helmets in polish. 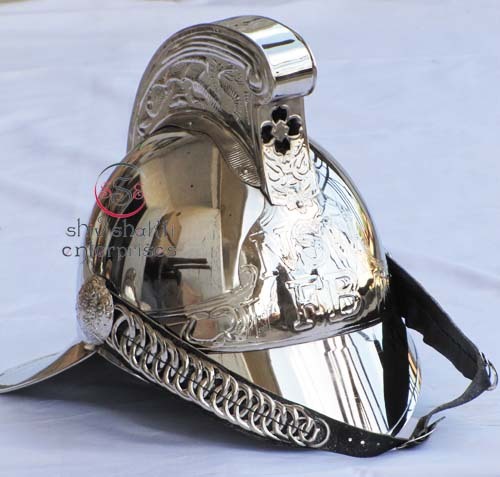 CFB Fireman Helmet With Strap. 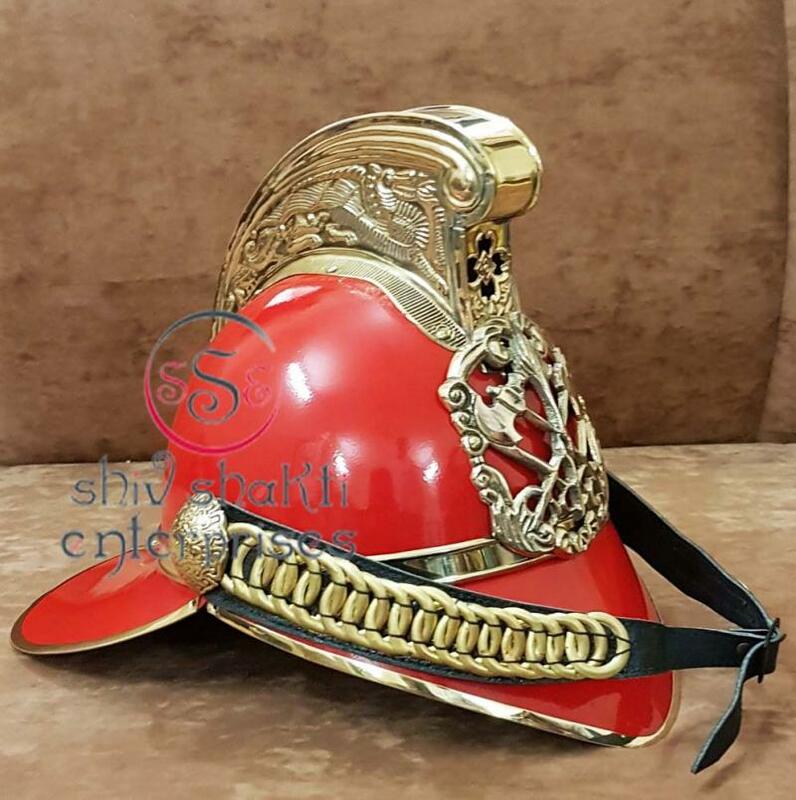 Elegant fireman helmet. Helmet has CFB Embossed in front with top gear. Comes with adjustable strap. ﻿Handmade with the inscriptions and complete with a leather strap and leather lining inside. ﻿We use high quality raw materials such as 18g mild steel. man helmet. Comes with adjustable strap. 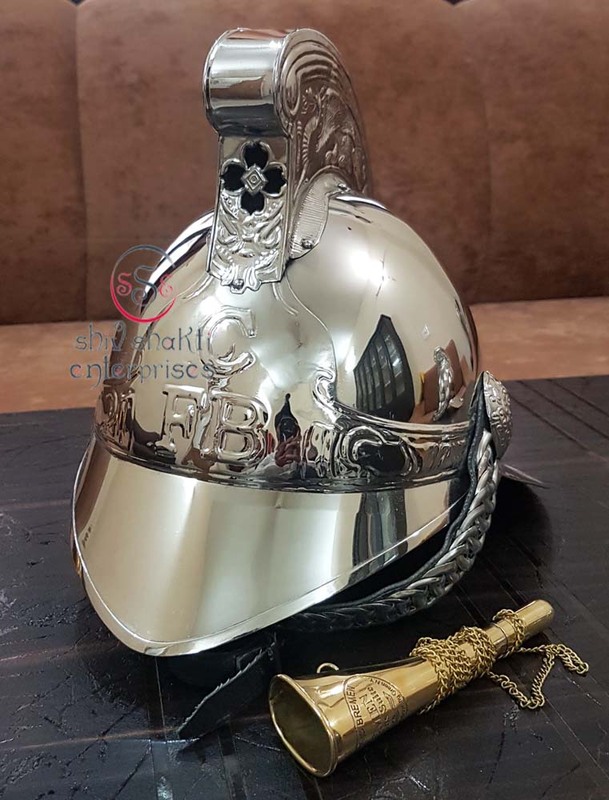 ﻿Handmade with the inscriptions and complete with a leather strap and leather lining inside.Our company is engaged in offering a wide collection of brass fire brigade fireman helmet﻿. 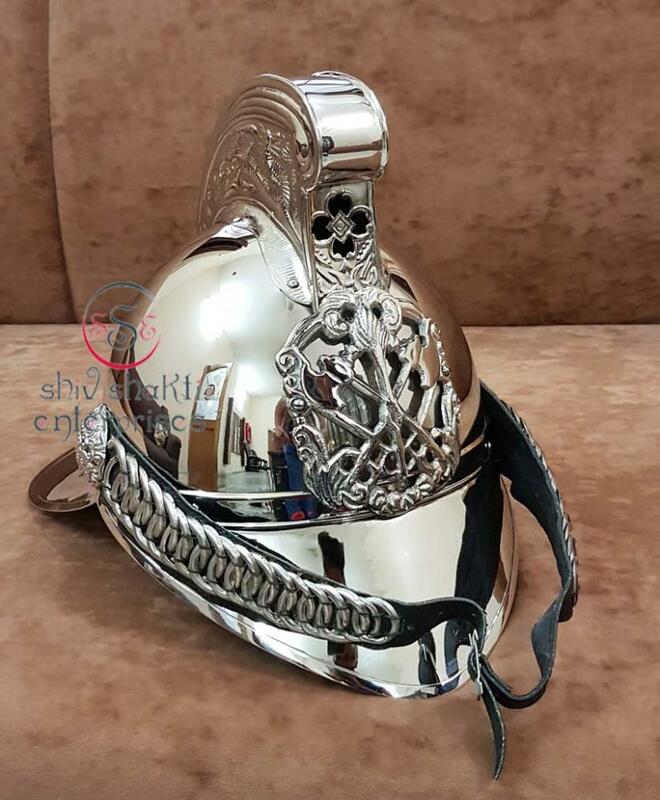 These helmets are manufactured using high raw material, and are available in antique. These are known for their fine brass antique, attractive looks and solid body. Being tough and rugged, these provide full protection during any kind of heavy and risky operation. Some of the salient features are. • Some others have "NSW FB", "M FB", "WA FB", VIC FB". 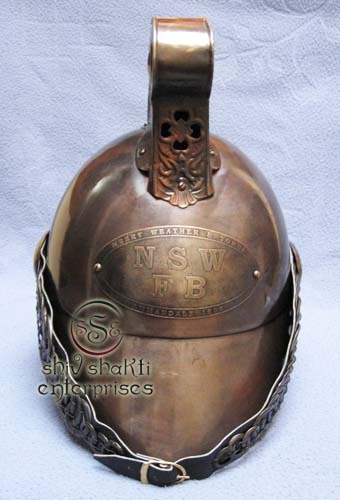 NSW FB Fireman Helmet made of Steel. 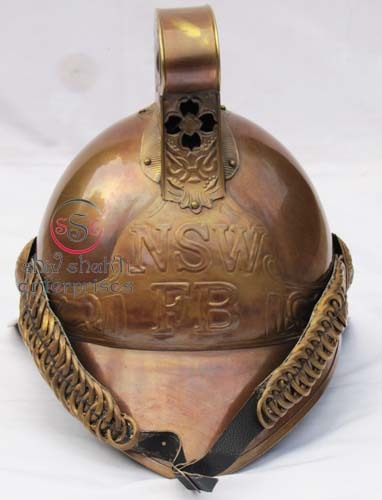 This Fireman's helmet comes with the inscription 'NSWFB' embossed over centre front. 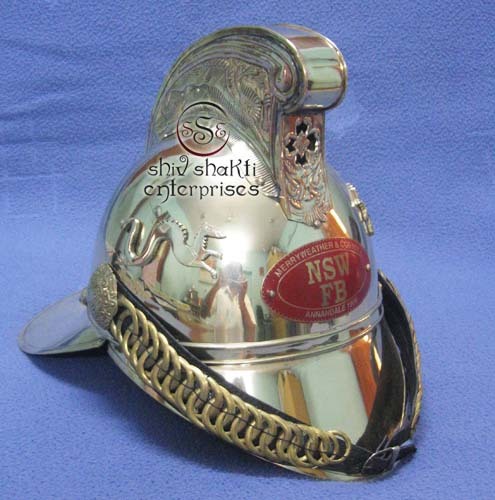 The NSW Fireman helmet. 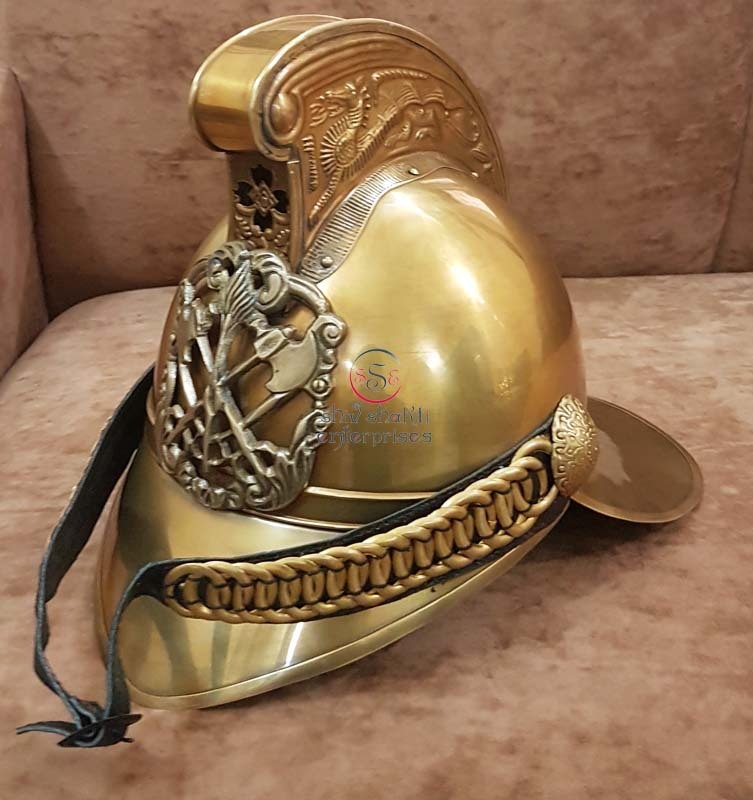 all work is hand made.This fireman Helmet with Wooden stand. 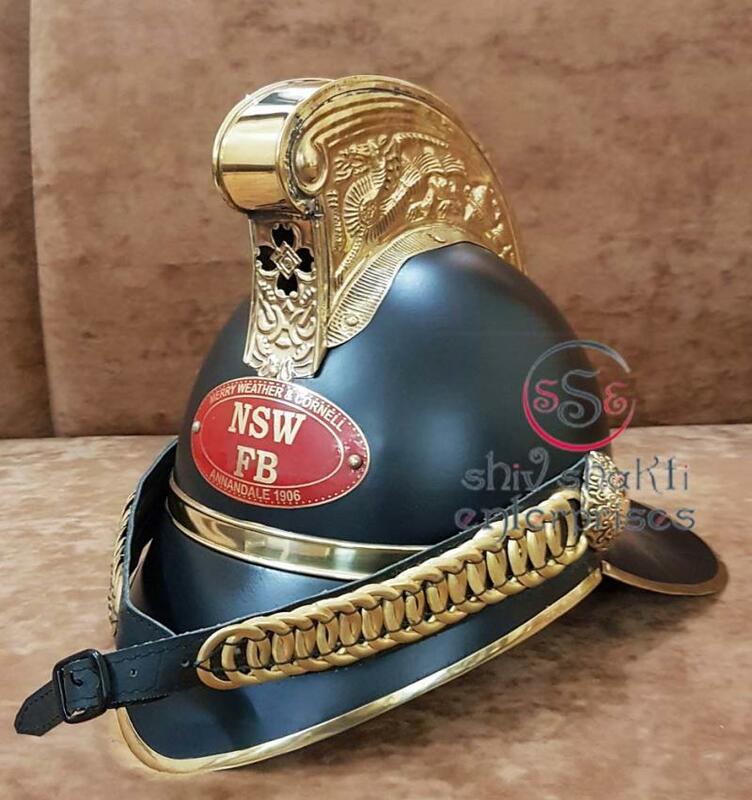 NSW Fireman Helmet With Strap. 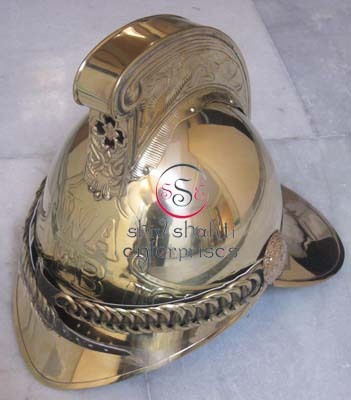 Elegant fireman helmet. Helmet has NSW Embossed in front with top gear. Comes with adjustable strap. ﻿Handmade with the inscriptions and complete with a leather strap and leather lining inside. ﻿We use high quality raw materials such as 18g mild steel. 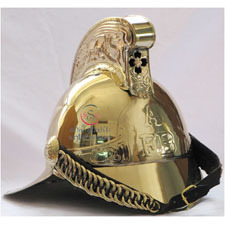 We are manufacturing and supplying a large number of MFB chief brass fire brigade helmets. These are manufactured using high quality raw materials such as fine brass, premium metals and other items.esteemed.all work is hand made. it is a best gift for collectors. 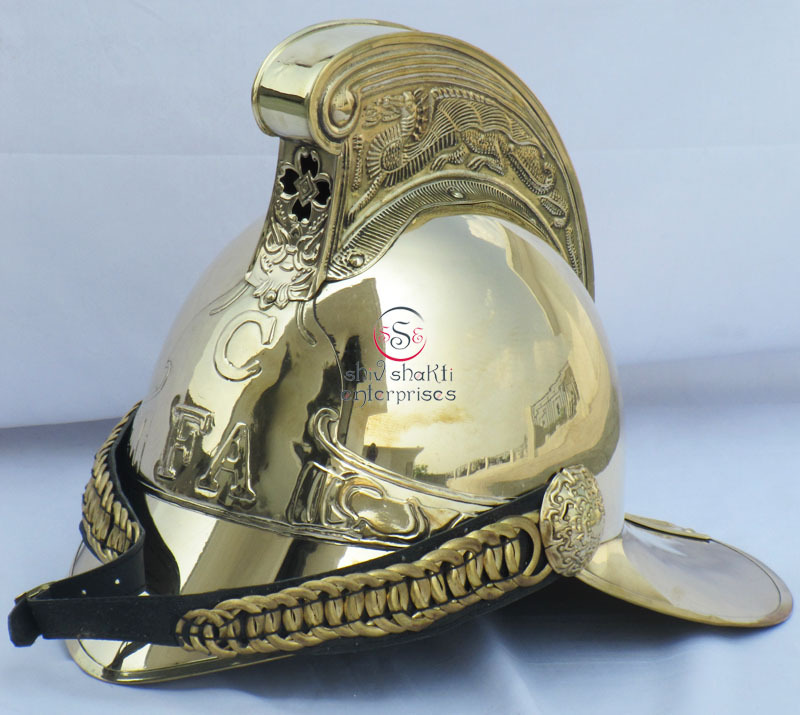 We are manufacturing and supplying a large number of AFB chief brass fire brigade helmets. These are manufactured using high quality raw materials such as fine brass, premium metals and other items.esteemed.all work is hand made. it is a best gift for collectors. 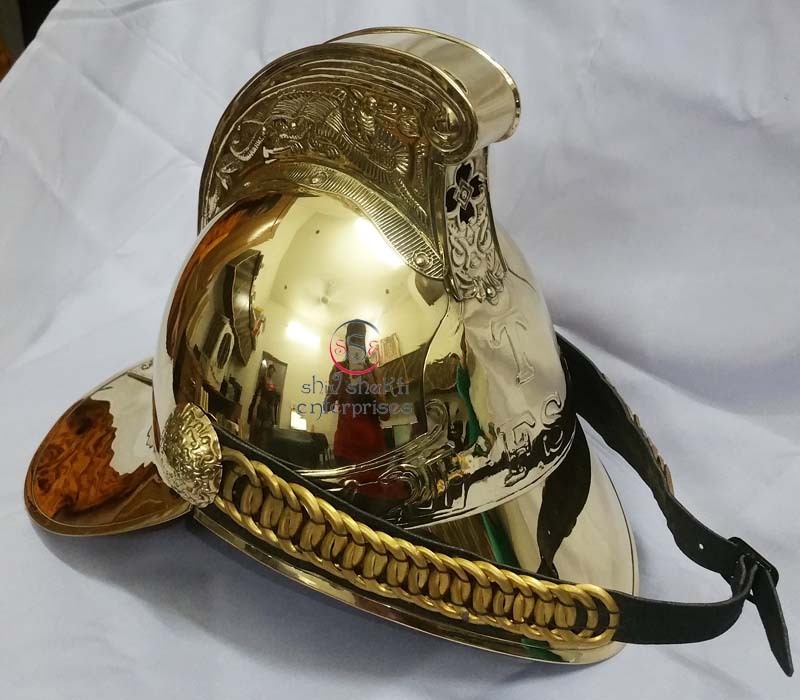 We are manufacturing and supplying a large number of NSW FB chief brass fire brigade helmets. These are manufactured using high quality raw materials such as fine brass, premium metals and other items.esteemed.all work is hand made. it is a best gift for collectors. CFA Fireman Helmet With Strap. 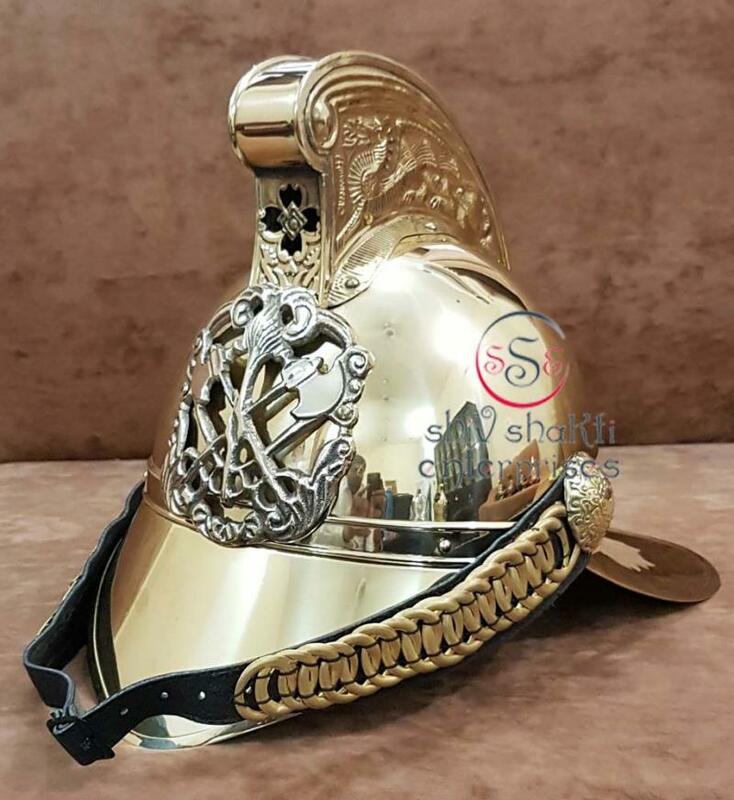 Elegant fireman helmet. Helmet has CFA Embossed in front with top gear. Comes with adjustable strap. ﻿Handmade with the inscriptions and complete with a leather strap and leather lining inside. 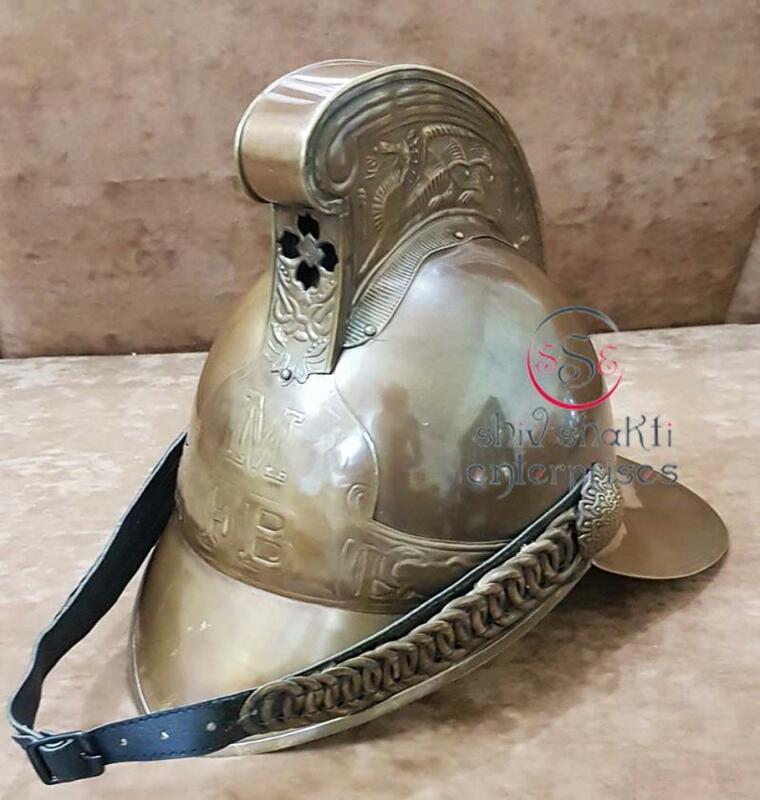 ﻿Fireman Helmet With Strap. 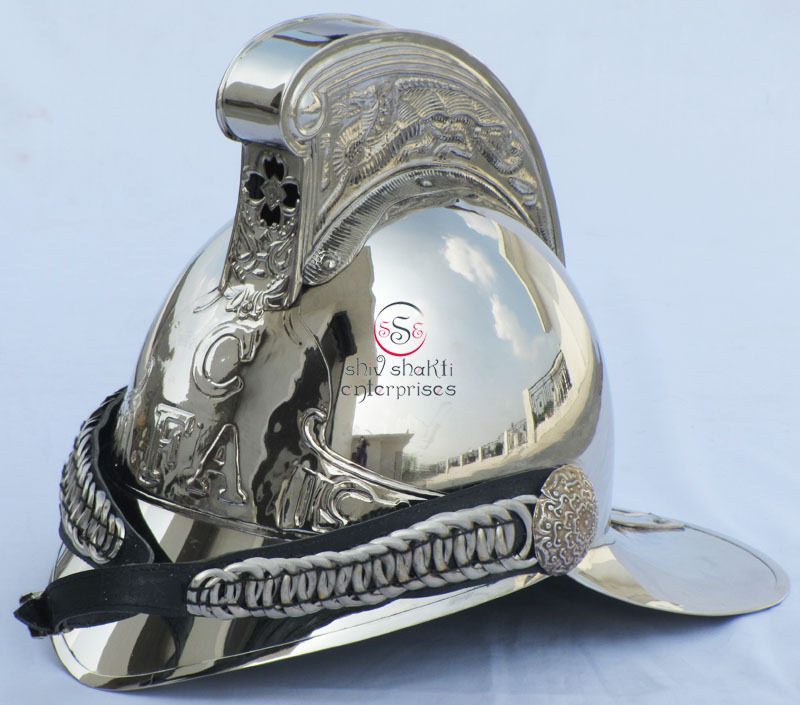 Elegant fireman helmet. Comes with adjustable strap. 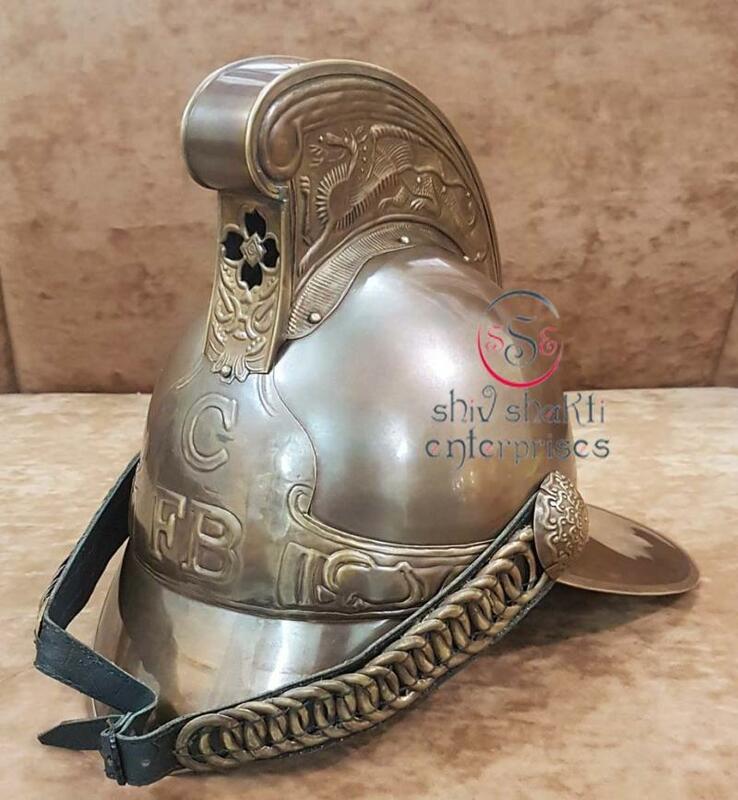 ﻿Handmade with the inscriptions and complete with a leather strap and leather lining inside.Our company is engaged in offering a wide collection of brass fire brigade fireman helmet﻿. 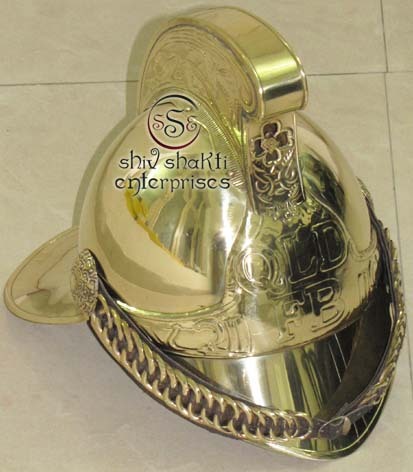 We are manufacturing and supplying a large number of chief brass fire brigade helmets. These are manufactured using high quality raw materials such as fine brass, premium metals and other items.esteemed.all work is hand made. it is a best gift for collectors.